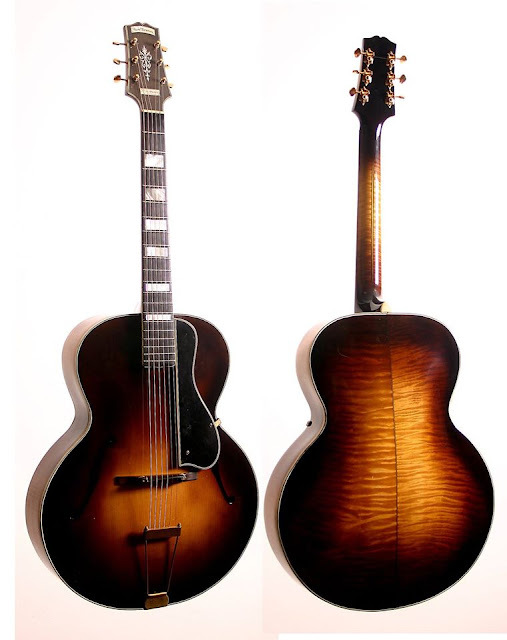 John D'Angelico starded his own business at 40 Kenmare street in New York in 1932. 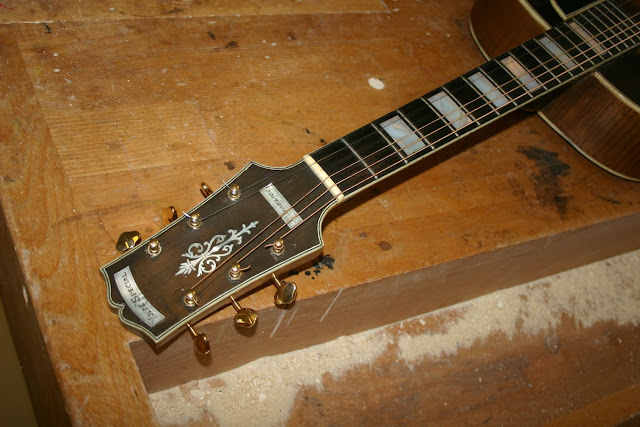 Instead of putting his own name on top of the headstock D'Angelico decided to put the name of Volpe there. Many of his pieces for solo and duet guitar are still in use in (Mel Bay) guitar instruction books. Besides being a famous teacher and composer, Volpe was particularly was known as a regular soloist at the Radio City Music Hall. 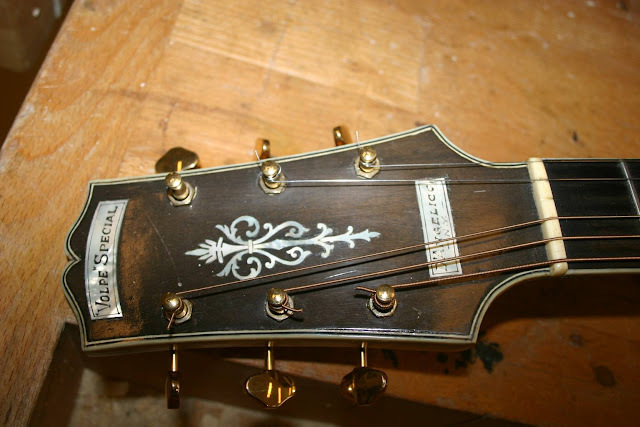 Only about 10 Volpe D'Angelico guitars are made before he decides to put his own name on the headstock. 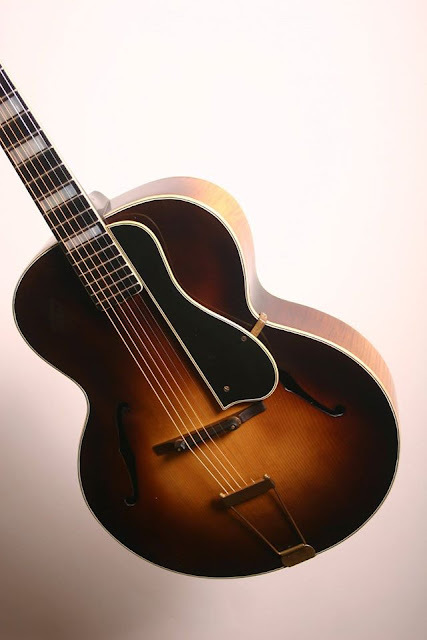 The pictures show a D'Angelico Volpe, which I had to restore. The instrument has been refinished very badly about 30 years ago. The sunburts had faded into green. The guitar is stripped to the bare wood (sorry guys!) and refinished for hopefully the rest of its life.